The real gifts of life come in moments not in boxes. They are the moments of courage that push you forward and the moments of risk that change your life. They are the mundane quiet moments with God as well as the powerful, anointed ones. And the very best moment of all is the moment that you knew Jesus not as the babe in the manger but as the Savior on the cross. It was the moment that changed your eternity and opened up all of heaven to you. It was the moment you accepted Christ’s gift of salvation. Do you remember the moment when this became real to you? 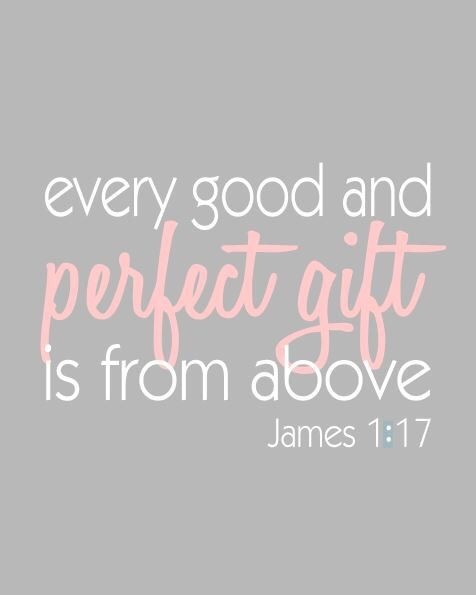 Jesus is the good and perfect gift sent to us from God. As you experience all kinds of moments today with friends and family, may the good and perfect gift from heaven fill your heart with unspeakable joy and absolute peace. Have a wonderful and abundantly blessed Christmas Day.